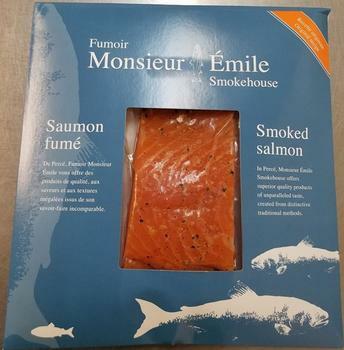 Monsieur Émile Smokehouse is recalling Monsieur Émile Smokehouse brand and unbranded Smoked Salmon. There are no reported illnesses associated with the consumption of these products. Consumers with questions may contact Edith Couture at (418) 782-1412.